The Red Ants have demolished the first structures of a new land occupation near the N2 close to Reddam House school. On Monday, GroundUp reported that people had started marking out plots. On Tuesday evening, the first shacks were built. On Wednesday morning at about 8am, the Red Ants arrived with armed security to demolish seven structures. The land occupiers resisted the demolitions. They pelted law enforcement officers with stones. 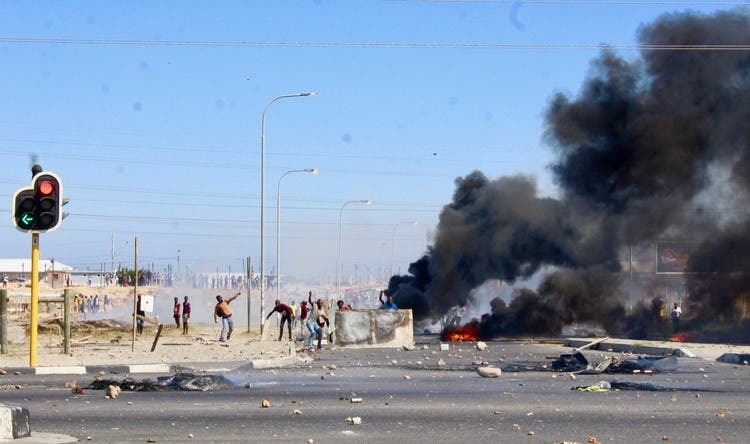 They used burning tyres and rubble to close the N2. Vehicles were also stoned. Law enforcement and Public Order Police shot rubber bullets and used teargas. The skirmishes carried on for hours. 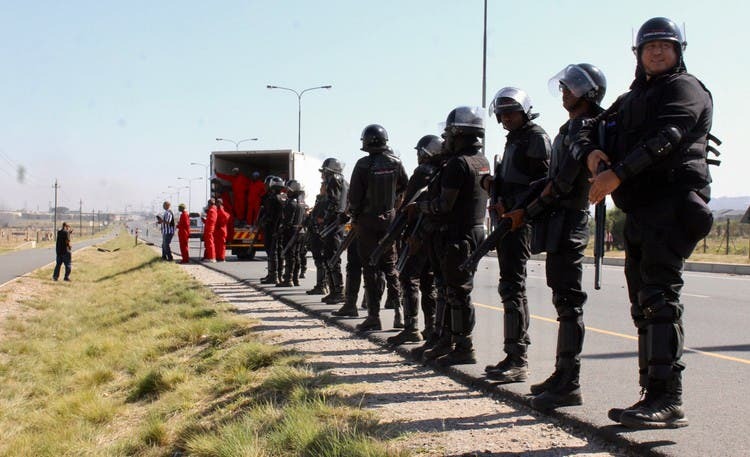 “We have been struggling for land for too long … We will not stand back and watch them demolish our homes when this land has been vacant for many years,” a land occupier told GroundUp. 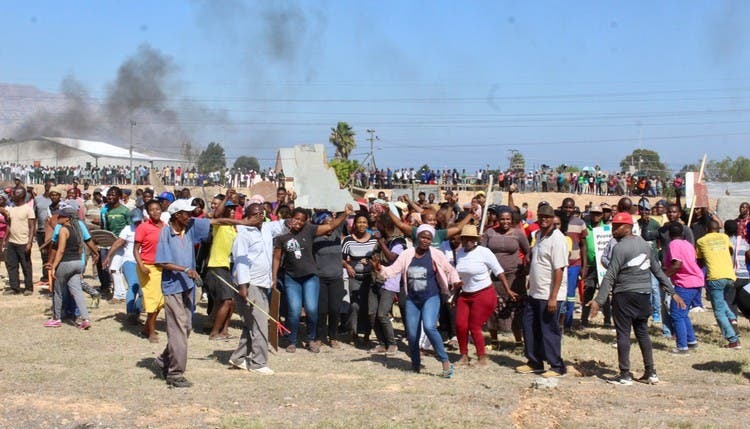 Community leader Lindi Xubuzana said, “All we want is the land and we did not start this fight with the police but the Red Ants should have not demolished our homes.” He said the occupiers started throwing stones only after they were shot at. Ward 85 Councillor Simthembile Mfecane tried to intervene and asked the police to stop shooting. 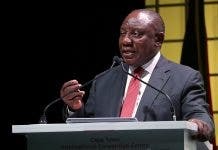 He said they had opened discussions between landowners ASLA construction, the municipality, national and provincial government to purchase the land. kirmishes between police and the land occupiers carried on for hours. Richard Coleman of the City of Cape Town traffic services said the N2 was closed in both directions between Somerset West Main road and Broadlands Road. One person was arrested for public violence. Loyiso Nkohla, leader of the newly-formed Land Party, arrived at the scene. He led a large crowd to Lwandle police station to demand the immediate release of the man. “If you are going to arrest someone arrest all of us here, not a single person,” he told station commander Colonel Xolani Williams. 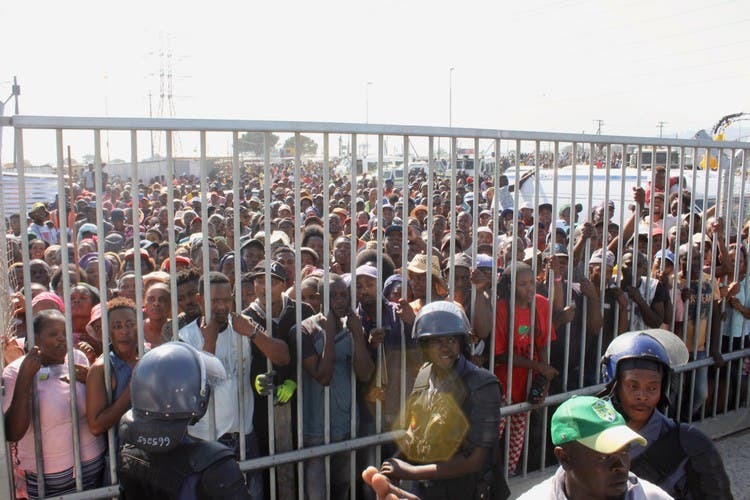 A large crowd gathered at Lwandle police station to demand the immediate release of a man arrested in the land occupation protest. Williams asked Nkohla to calm the crowd and follow proper channels to address the issues. Nkohla said he supported the occupation of the land and that authorities must negotiate with the owners on behalf of the residents. 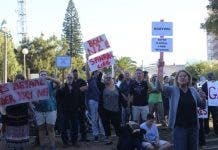 ASLA CEO Werner Jerling told GroundUp it had obtained a court interdict against anyone attempting to occupy the land. An urgent meeting between the residents and local leaders was called.